The new Maruti Wagon R was launched on 23 January and is available for Rs 4.19 lakh to 5.69 lakh. The third generation tallboy is bigger than the previous version and is both wider and longer. This makes it have a higher street presence. The bold front-end styling is another factor that helps the car garner eyeballs. Now we have rendered the car with bigger rims, low profile tires, and black roof to give it an even sportier look. The virtually modified new Maruti Wagon R surely looks hotter due to the several small updates it has received. The bigger wheels with low profile tires give it a very sporty stance and the black roof wrap makes it look even sportier. The new Maruti Wagon R has a similar boxy silhouette as the previous model, but the bigger dimensions and bold styling elements like floating-type roof give it a higher street presence. Together with the styling enhancements in our rendering, the new Wagon R indeed looks very sporty. 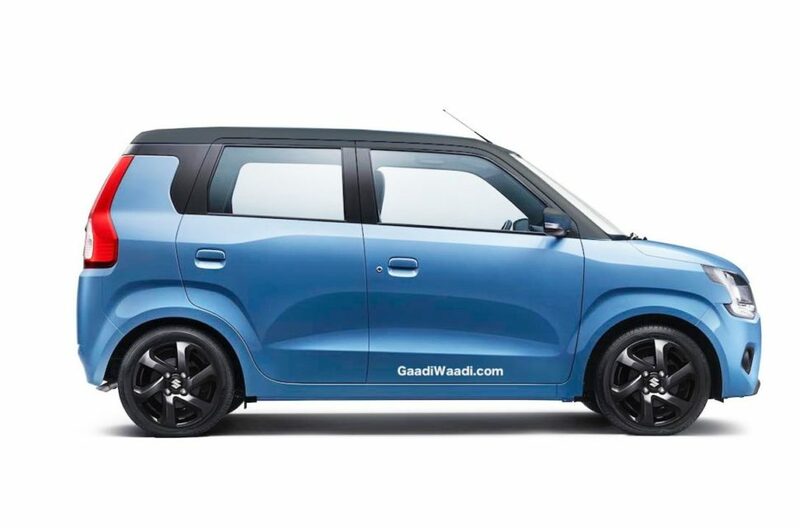 The new Maruti Wagon R measures 3,655 mm in length, 1,620 mm in width, and 1,675 mm in height. It has a wheelbase of 2,435 mm, which is the same as that of the Ignis. The new model is safer than the predecessor due to its more rigid HEARTECT platform and several additional standard safety features. Autumn Orange, Nutmeg Brown, Poolside Blue, Superior White, Silky Silver and Magma Grey. The 1.0-litre K10B petrol engine produce a maximum power of 67 bhp at 5,500 rpm and 90 Nm at 3,500 rpm, while the 1.2-litre K12M motor offers 82 bhp at 6,000 rpm and 113 Nm at 4,200 rpm.